Here are bunch of links related to my new favorite Lego set, the 21109 Exo-Suit . Photographs at top and bottom are my own (but feel free to re-use them if they prove useful). British AFOL Peter Reid designed the original Exo-Suit. Here’s his Flickr stream, and the project’s page on Lego Ideas. Reid collaborated with Lego designer Mark Stafford to come up with the version of the Exo-Suit that made it into production. Here’s a post on the Lego Ideas blog about how that happened. Way back in April, New Elementary blogged about how AFOLs were involved in the product design and marketing for the set. The EuroBricks review of the set has a ton of photos, probably exceeding even the three-part review on BrickSet (part 1, part 2, part 3). Of all of the set reviews out there, this one from Tranquility Base is my favorite. It perfectly captures the cool and whimsical feel of the set – and of Classic Space in general. 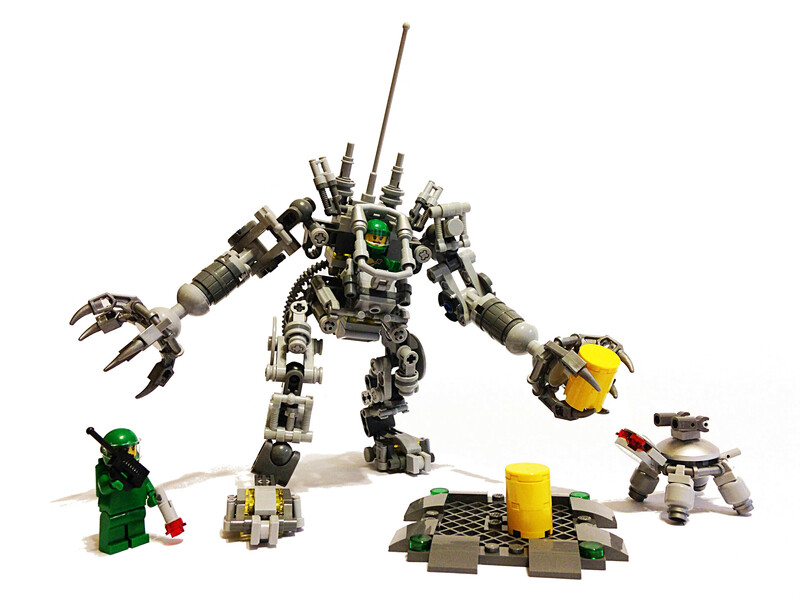 This entry was posted in Classic Space, Exo-Suit, Lego, mecha. Bookmark the permalink.